From understated pastels to whimsical Easter eggs, wreath tutorials make it easy to decorate your door this season. We've rounded up the Easter wreaths you have to see this spring. Decorating your door with a festive wreath is the perfect way to welcome a holiday. Guests visiting your home — and even people walking or driving down your street — will notice you're in the holiday spirit. Wreaths are a DIY favorite because many of them are budget-friendly and require only a basic level of crafting skill. If you're the type of person who wants to swap out door decor for every change in season or holiday, those are important craft qualities! We've found some fantastic Easter wreaths — and craft bloggers — we know you'll love. Peeps, toothpicks and a base wreath are at the heart of the Peep Easter Wreath at Tried & True. 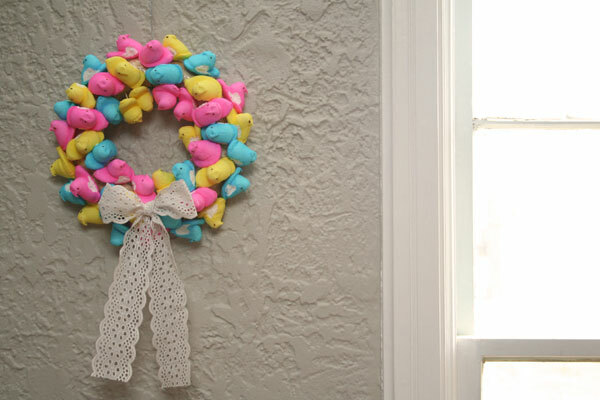 Vanessa has hints for keeping pesky Peeps where you want them — and several versions of the Peep Wreath in case you end up with a few too many packages of the sugary treats. Jessica at Mad in Crafts upcycles part of an old wreath and finds other materials at the dollar store to make a budget-friendly seasonal wreath. 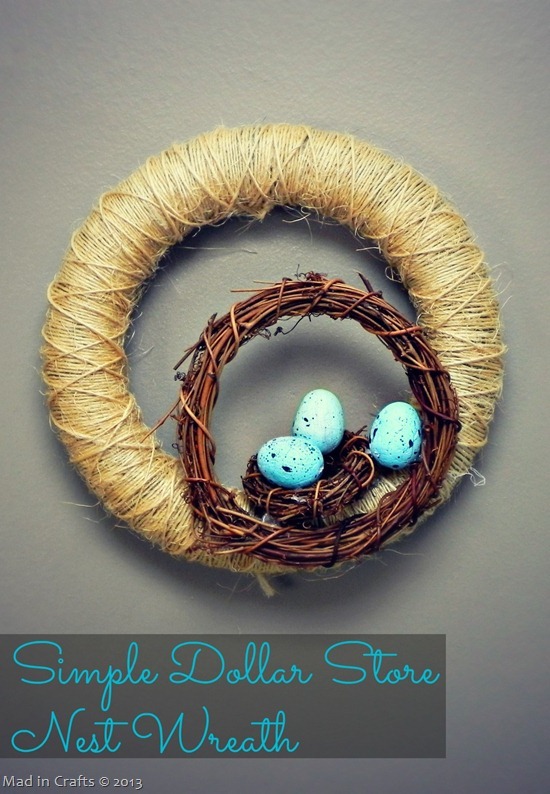 The Simple Dollar Store Nest Wreath uses grapevine wreaths, foam eggs from the dollar store and a recycled base wreath to create an easy wreath that welcomes spring to your door. Simple materials — real eggs, wooden beads and wire — make this Easter Wreath an eco-friendly option for your door this season. The project from Nalle's House will take a few days from start to finish, but some of the steps can be completed by children, making it a wreath your whole family will enjoy creating. Amy Vowles proves that cute and pretty can exist in the same wreath with the Pretty Easter Wreath. 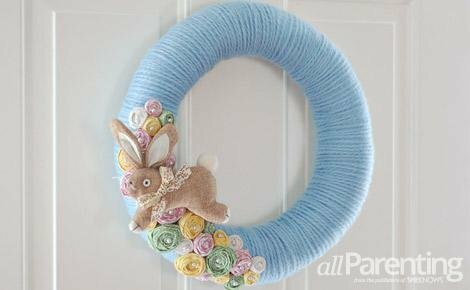 With scrap fabric flowers, a skein of soft blue yarn and a plush Easter bunny, she creates a festive wreath that can be made in just a few hours. Step-by-step instructions show how the bunny can be attached last, and if you want to keep the wreath around after Easter, you don't have to use glue! Virginia at Live Love DIY has a spectacular eye for detail in design, and her Spring Flower Wreath is a perfect example. She takes a simple wood wreath and adds flowers, beads, glitter butterflies — and even disco balls — in a way that looks beautifully spring-like. 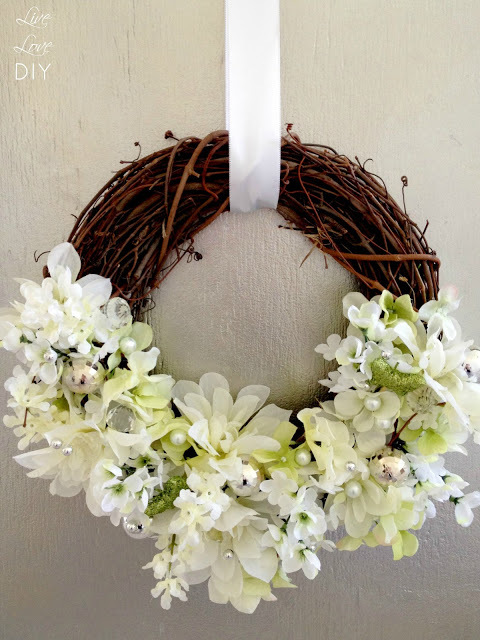 Follow her instructions for creating a wreath that you'll want to keep on your door long past Easter. 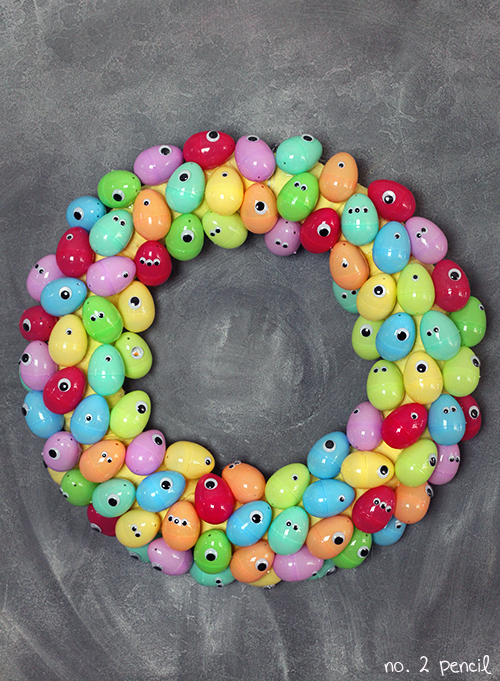 The Googly Eyes Easter Wreath is definitely a DIY wreath where you can enlist your kids to help with the fun. Plastic eggs and simple googly eyes from your craft supplies are kid-friendly materials used to decorate this foam wreath. Melissa at No. 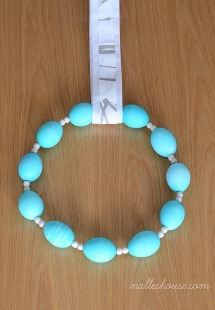 2 Pencil has loads of fun DIY content on her blog and Facebook page. 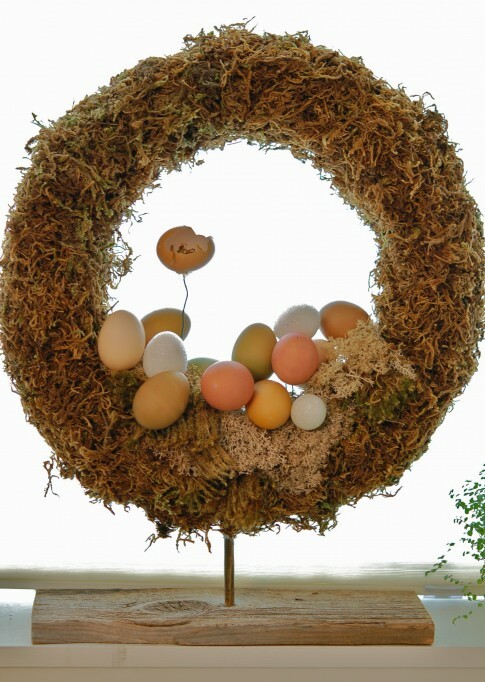 Organic materials like Spanish moss and real eggs make the Eggsactly Right Easter Wreath from The Art of Doing Stuff perfect for those looking for an understated Easter wreath. Using a pool noodle as a base, the wreath incorporates earthy colors and tactile materials into a seasonal wreath that balances delicate eggs with hearty moss for a lovely design contrast.